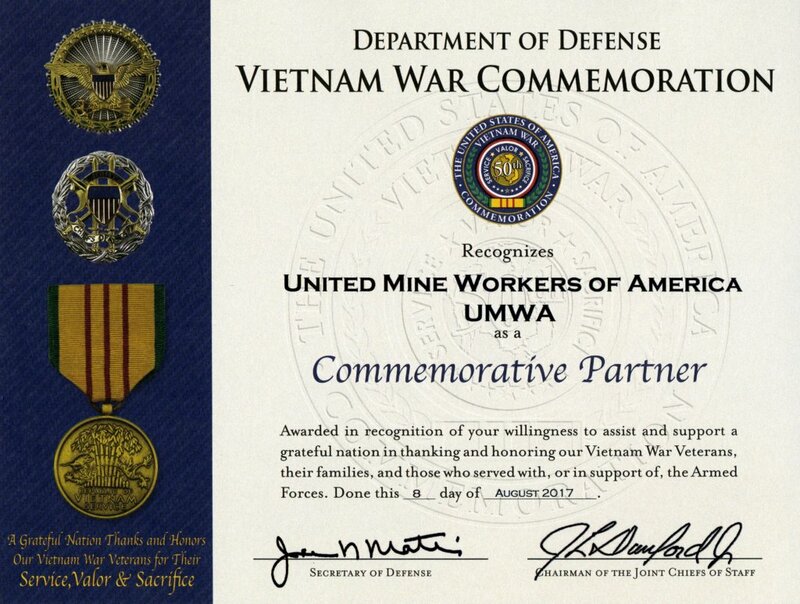 The United Mine Workers of America is now a Partner in the United States of America Vietnam War Commemoration Program. The Commemorative Partner Program is designed for federal, state and local communities, veterans’ organizations and other nongovernmental organizations to assist a grateful nation in thanking and honoring our Vietnam Veterans and their families. To thank and honor veterans of the Vietnam War, including personnel who were held as prisoners of war or listed as missing in action, for their service and sacrifice on behalf of the United States and to thank and honor the families of these veterans.